At night, when you are asleep, your Loxone Smart Home keeps watch, looking out for you and your family. Should an intruder be detected, it will immediately alert you with a phone call, turning the multiroom audio on at full volume, flashing the lights throughout the house, and opening the blinds so as to expose anyone inside your home that shouldn’t be there. Your home will also let you know if a potential fire or water leak is detected. In your home, you can feel completely safe. It deters burglars for you, watches over the whole family, protects itself and preserves your privacy. Get home security tips in our new Welcome Home Magazine. 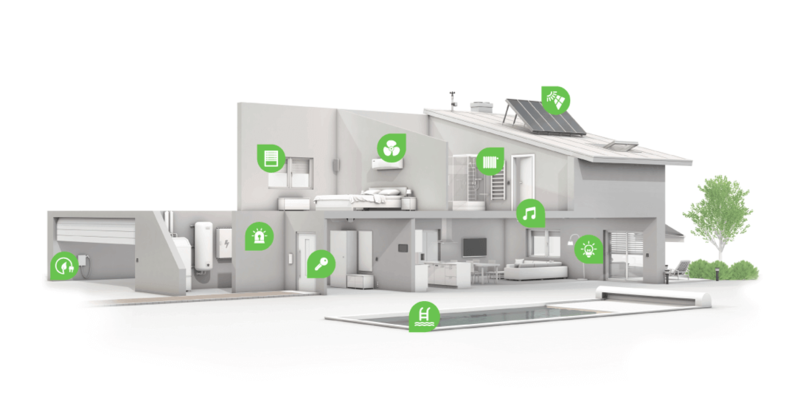 The Loxone Smart Home offers a powerful security solution, where all products work together. At night, while you sleep, your home is on alert. In your absence, it automatically goes into security mode and watches carefully to protect against burglary, water leaks or adverse weather. Below you can find options to get started with Loxone or to start getting inspired for your future smart home. 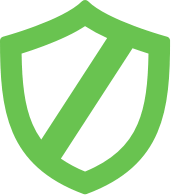 Like an invisible shield, Loxone protects your home from unwanted guests. It reliably detects intruders and reacts with highly conspicuous flashing lights and a loud siren sound to deter even the most determined of intruders. Even if you’re not a fan of Home Alone, chances are you know the story: a little boy, left behind at home, has to come up with various ways to deter two bungling burglars. It’s a shame Kevin’s house didn’t have Loxone, as he could have saved himself rather a lot of trouble. With presence simulation, you can go on holiday with peace of mind, since your home will be busy acting as if someone were home; the blinds raise and lower and lights switch on and off, following the same routine as always. Should a thief gain access to your home, your home will inform you immediately via the app. Automatisiert, zeitabhängig, per Taster oder App. Präsenzmelder und mehr werden zu Alarmmelder. Be notified by email, call, or push notification. If it is a false alarm, you can simply acknowledge the notification without the need for further action. The Loxone Music Server will start playing the pre-defined alarm sound at full volume throughout your home. All the blinds in your home will open and the lights will start flashing – drawing the attention of the neighbours to the presence of anyone in the home that shouldn’t be there. Danger could be lurking around any corner. A Loxone Smart Home gives you peace of mind, knowing that you’ll be made aware of potential danger so that you can react accordingly to prevent harm from coming to you and your loved ones. If smoke is detected, your home will immediately alert you with flashing lights and a phone call – with certain lighting showing you the way out. Blinds will open, alerting passersby and neighbors to the danger. Should water be detected where it shouldn’t be, whether from a burst pipe – or rain potentially coming in through an open window, your home will bring this to your attention so that you can act accordingly to minimize or even prevent any damage. If desired, a switch can be set up as a trigger for the alarm when it is pressed. This can cause the lights to flash, the blinds to open and a phone call to be placed to a specified number. Loxone can help keep your children safe at home, too. 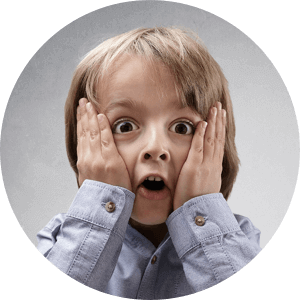 If you are out but your children are home, certain features and appliances can be put into child-safe mode. Similarly, if you are at home you can activate child-mode at the touch of a button. A popular feature for parents is having the TV or games console in their child’s room turn off at 10 pm to encourage bedtime. Life is full of surprises, which by their very nature, occur when you least expect it. The Loxone Smart Home works to help alleviate the effects of those surprises. Burst water pipe? En route to the airport and realize you left the back door unlocked? Not to worry, your home will alert you immediately so that you can take steps to quickly rectify the problem. Water ingress can have many causes: burst pipes, leaky appliances and even run-off from tilted windows or open doors. To avoid major damage, your home informs you immediately. Early detection of fire can save your belongings – but most importantly – it can save lives. The Loxone Smart Home offers reliable detection through the combination of existing temperature sensors and smoke detectors. 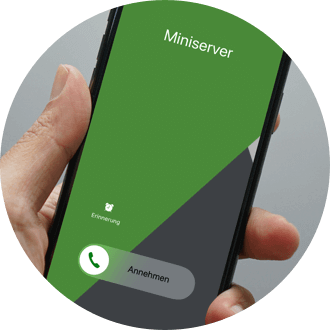 All personal usage data is protected by various firewalls and security mechanisms on the Loxone Miniserver and does not leave your own four walls. In addition, the Loxone Smart Home will work even without an Internet connection. We take data privacy very seriously and protect our customers’ right to data privacy to the very best of our ability. 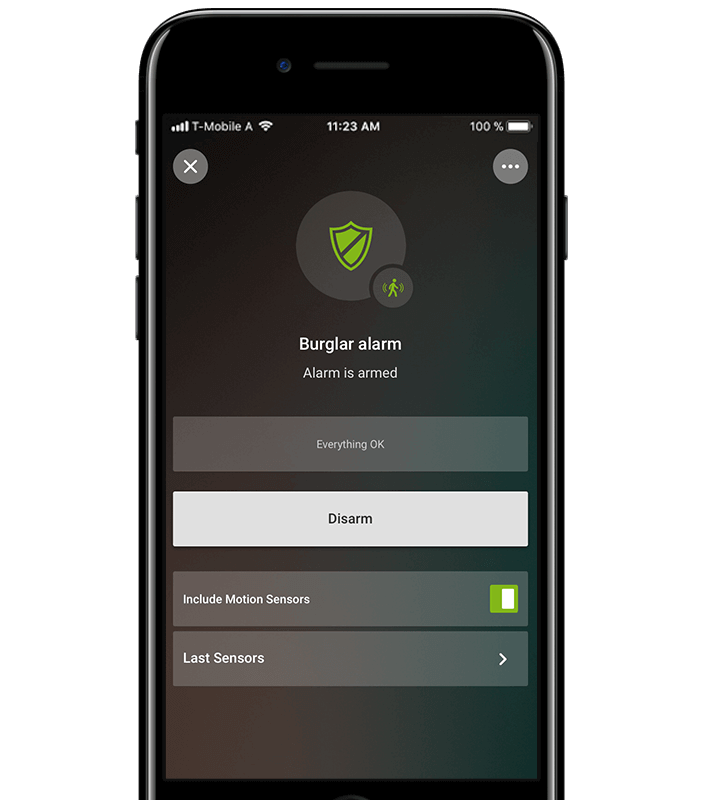 You do not need an additional expensive alarm system in your Loxone Smart Home. Existing components such as motion sensors, door contacts, lighting and blinds are combined to form a full-fledged alarm system which reliably protects you and your family. In case of alarm, call your home immediately to inform you about water ingress, smoke, etc. 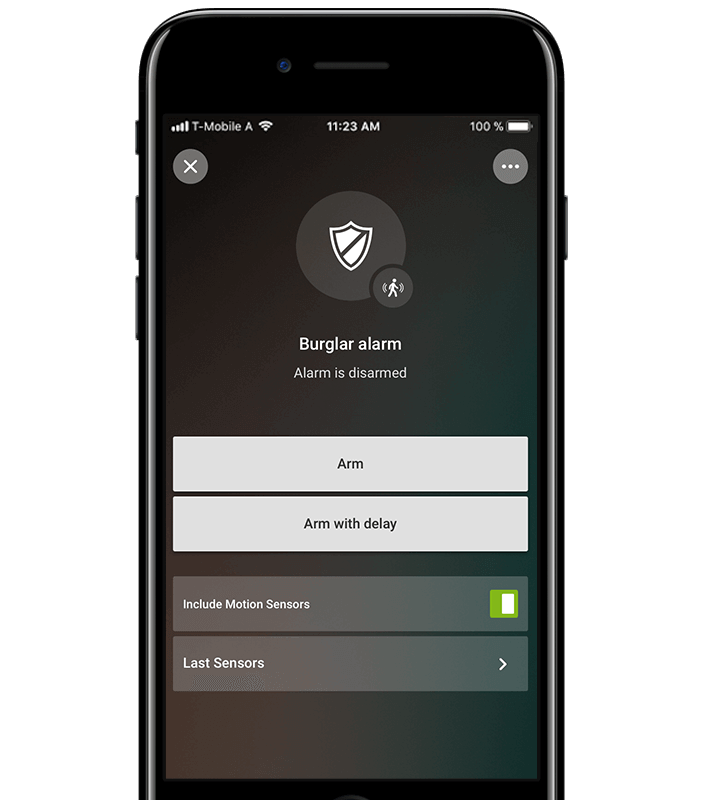 With the Loxone app, you can view the status of your alarm system at any time and activate or deactivate it. 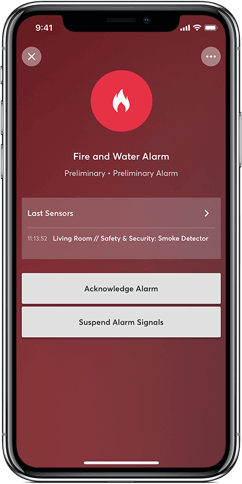 In case of emergency, you will be informed immediately and can view the alarm message via the app. Thanks to the logging function, you can check when the window was last opened, who last entered the house, when the postman arrived and more. One glance at the app is all you need. Your smart home informs you via voice message or message on your smartphone if windows or garage doors are left open after dark. Check whether everything is in order at home from a distance. View live images from your intercom or security camera anytime on your smartphone. Your intelligent alarm system switches on after a short delay time. This prevents you from being able to trigger the alarm system yourself. A second motion sensor must react within a defined period of time in order to suppress a false alarm and trigger the next alarm level. 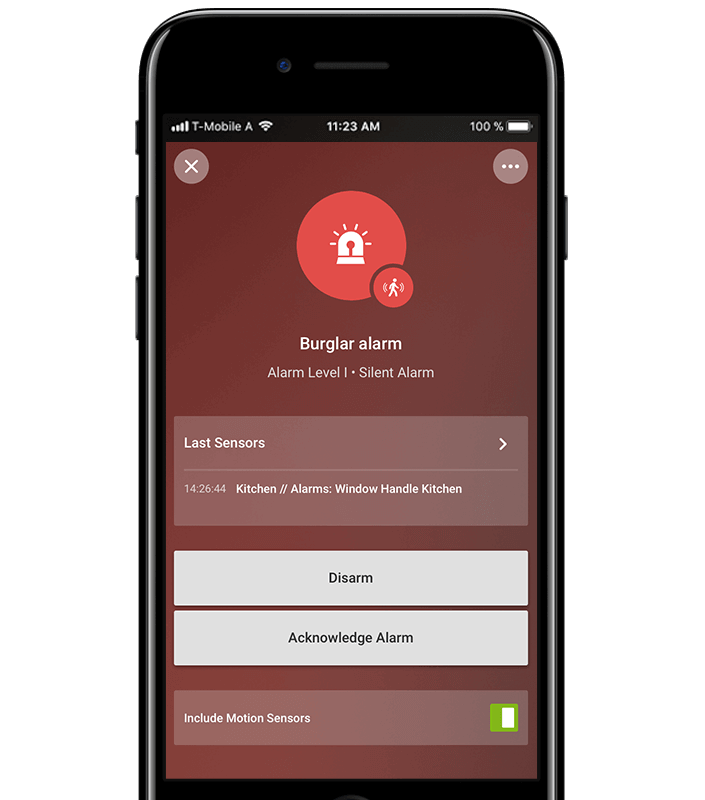 You can activate your alarm system from every switch in your smart home or arm it remotely via your smartphone. 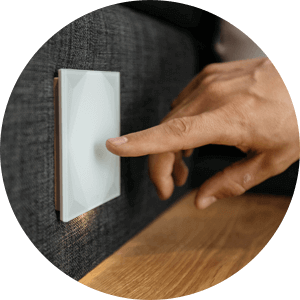 A triple click on a Loxone Touch by an exit puts your home into the ‘Away’ mode and arms the alarm. You can set up many alarm zones in your Loxone Smart Home, whether that’s the ground floor, the basement or an outdoor area. You can choose when these zones should be alarmed. For example, many people choose to activate the ‘downstairs’ alarm at night. In the Loxone Smart Home, all the components from music to shading to lighting work together for your safety. 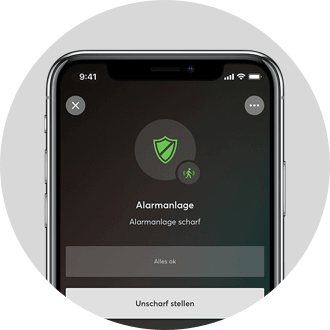 From intelligent defense mechanisms to alarm and protection functions, your Loxone Smart Home supports you with full power, even in an emergency. Are you ready to live in a home that is truly smart? Great! We’re here to answer any questions you might have about living in a Loxone Smart Home. We can also help you find a Loxone Partner in your area. The solution for holiday ‘lock-down’! Download Welcome Home, our smart home magazine. Explore smart home inspiration and tips. If you have any questions, we are happy to answer them! You agree that your data will be used to process your request. Further information and details on how you can withdraw your consent can be found in our Data Protection Statement.